In true Arai fashion, the Corsair-X Helmet has taken helmet technology and rider protection one step further by engineering a helmet that not only guards against direct impacts, but is specifically designed to minimize the effect of "glancing off" impacts as well. Arai has created a stronger shell and smoother shape that is more likely to redirect impact energy than absorb it (therefore decreasing the amount of force transferred to the body). To increase this potential to glance off impact energy, the VAS (Variable Axis System) side pod, pivot cover is smaller in size and its position on the shell is lower. 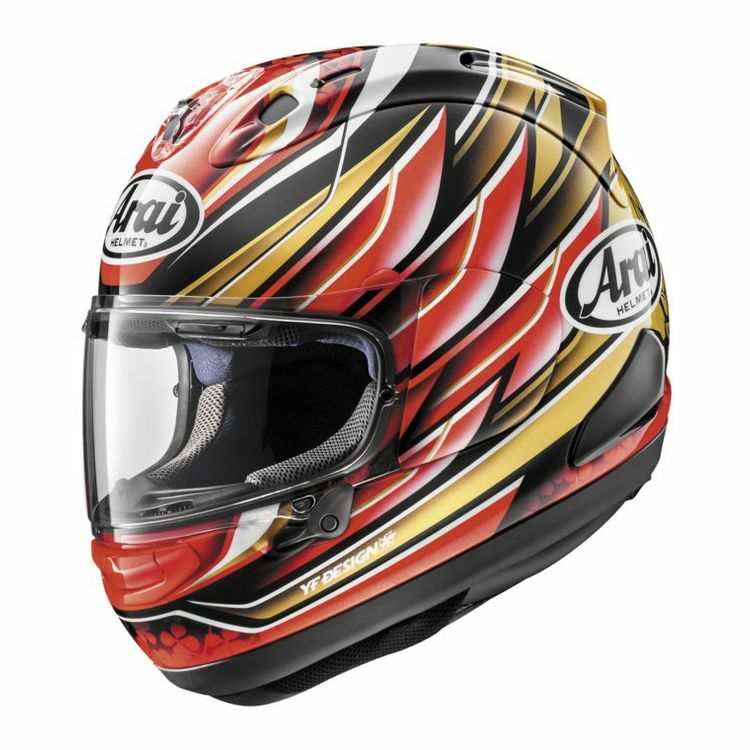 The Arai Corsair X Motorcycle Helmet features a chin curtain that helps to block air intrusion from the turbulent air underneath the helmet, as well as increases negative pressure to enhance the exhaust ventilation performance. The interior lining includes Arai's signature 5mm peel away ear pocket padding and ear pocket recess to accommodate communicator speakers.